Amazon is offering Apple’s latest model iPad Pros with an immediate $100 discount. With that saving, you can pick up a powerful 2018 model iPad Pro starting from just $899 for a 64GB WiFi model. Apple’s latest hardware represents the cutting-edge of tablet technology. Not only does the hardware feature a new fresh design that makes it stand out from previous models but also comes with refreshed internals that gives it a power kick and ensures that it can outperform the competition. It comes with a gorgeous edge-to-edge Liquid Retina display with ProMotion, True Tone, and wide color. It integrates Apple’s latest A12X Bionic chip with Neural Engine and has Face ID for secure authentication and Apple Pay. Those who are regular users of an Apple iPad will understand that this is pretty much as good as it has been from a tablet perspective. The above specification is complemented by up to 10-hours of battery life, USB-C connection for charging and accessories, and four-speaker audio with wider stereo sound. It also offers iOS installed as default and access to millions of games and apps via the iOS App Store. Definitely a wonderful deal by Amazon and one that is ripe for the taking by you. We’re starting to see more and more Apple hardware reductions coming via Amazon but that doesn’t mean that you should rest on your laurels and procrastinate. 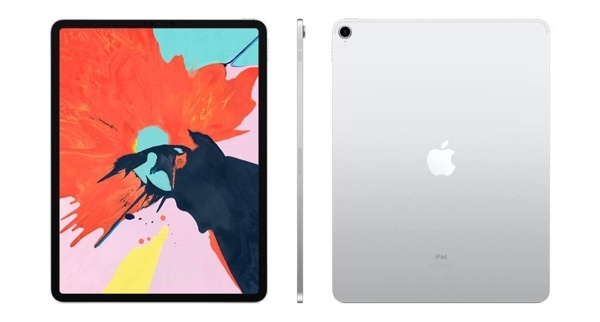 If you have been interested in bringing iPad Pro into your life then you definitely need to act as quickly as you possibly can to ensure that you grab the hardware at this reduced price.